On Saturday, GM announced that they will be recalling 81,123 vehicles due to concerns with the electric power steering system. According to their official report, the steering systems could suddenly and unexpectedly fail, making it difficult for the vehicles to turn. GM said they are aware of one accident involving the malfunction, but no injuries or deaths. This recall is actually an expansion on last March’s recall of 1.3 million vehicles. During the 2014 recall, it was discovered through an investigation by The New York Times that GM was trying to handle the matter quietly, essentially sweeping details under the rug, by telling dealers how to fix the problem, but asking them to only do so if an owner complained. This year, GM has changed their approach by being up front about the matter. Of course, they deserve little to no credit for this new strategy, considering it took them hundreds of deaths and a swarm of negative publicity that cost them millions upon millions of dollars to finally alter their public relations. At this point, it is basically about self-preservation. 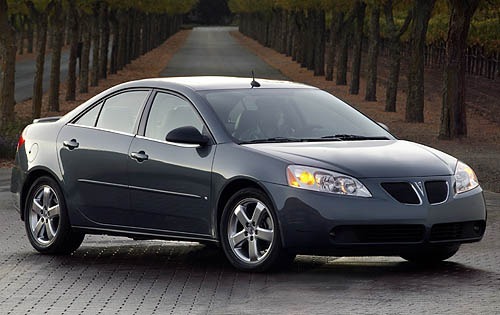 This entry was posted in Culture, GM and tagged 2007 Chevrolet Malibu, 2007 Malibu Maxx, 2007 Pontiac G6, GM, power steering system, recall. Bookmark the permalink.